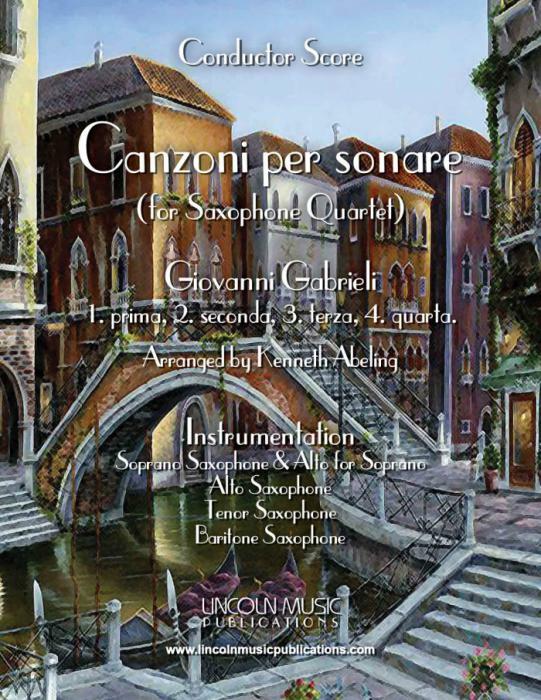 Four Canzoni by Giovanni Gabrieli (from a larger collection by multiple composers) transcribed here for Saxophone Quartet by Kenneth Abeling. The four Canzon are 1. prima, 2. seconda, 3. terza and 4. quarta. This is and advanced intermediate, to easy advanced level collection of four Renaissance pieces. They are appropriate for a variety performance applications including Religious services and Weddings. Playing time for all Cazoni 10:20.